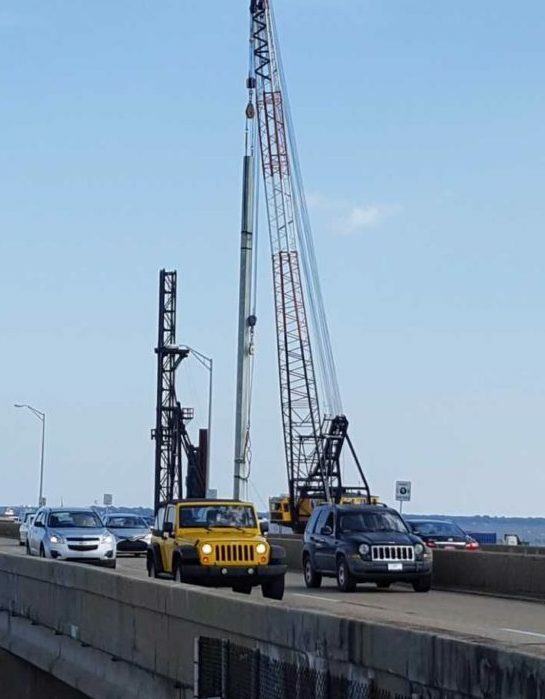 Permit restrictions designed to protect the Gulf Sturgeon limit pile driving within 1,500-feet of the Gulf Breeze shoreline to June 1 through August 31. 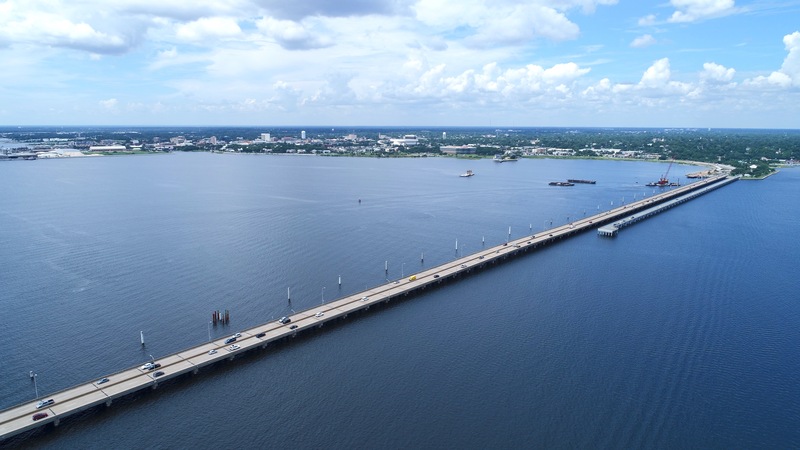 The Gulf Sturgeon is a state and federal species of concern, and Pensacola Bay is part of the species’ critical habitat that stretches from the Suwannee River in Florida to Mississippi. 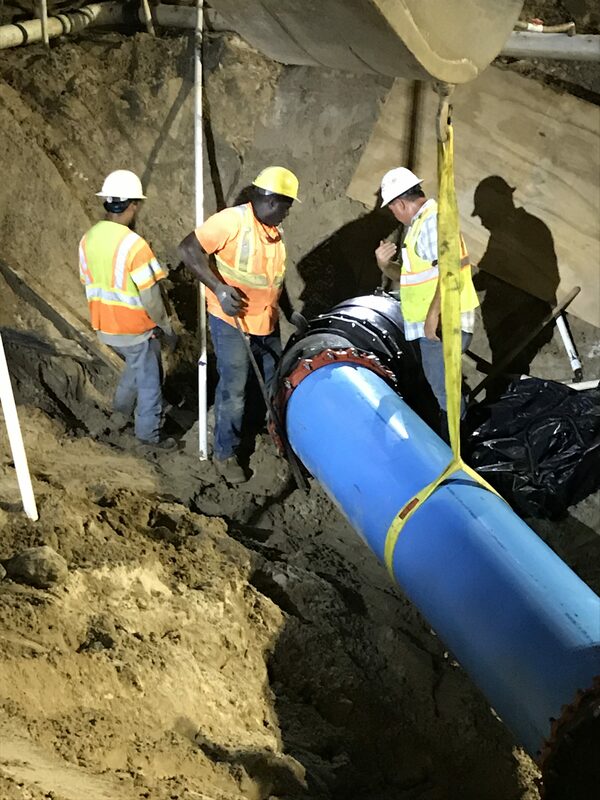 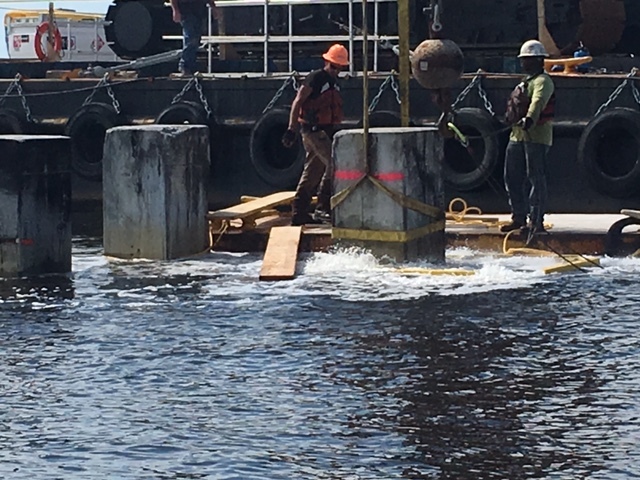 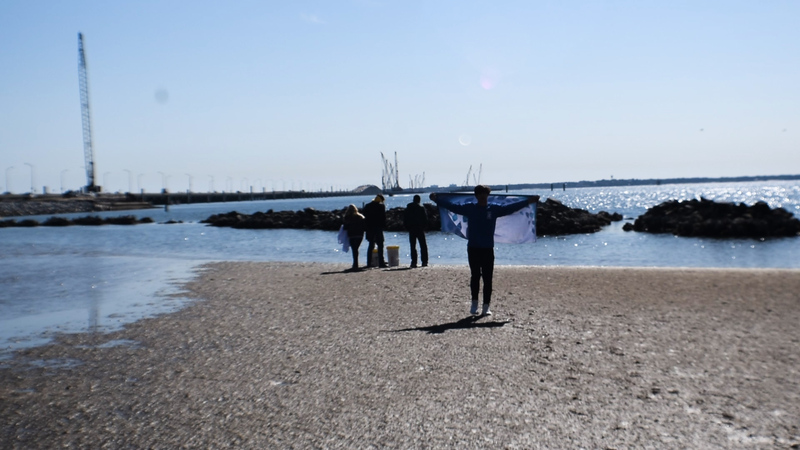 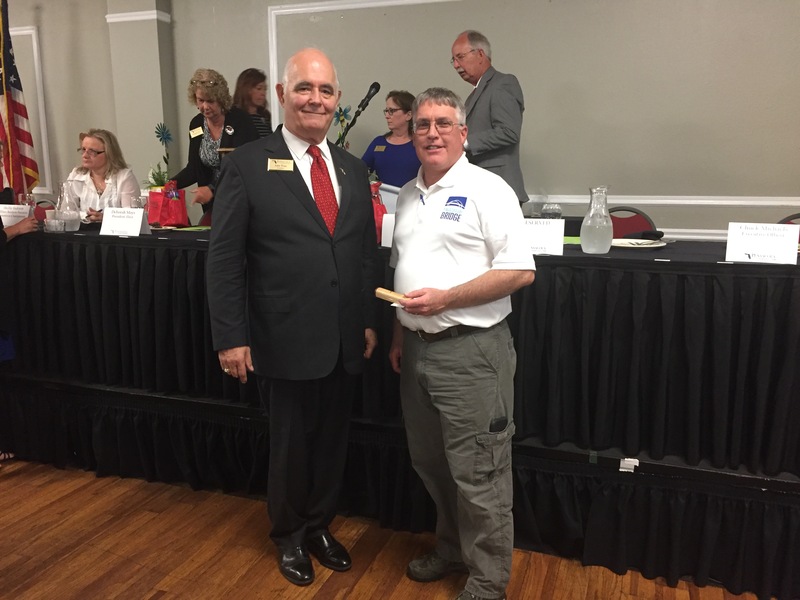 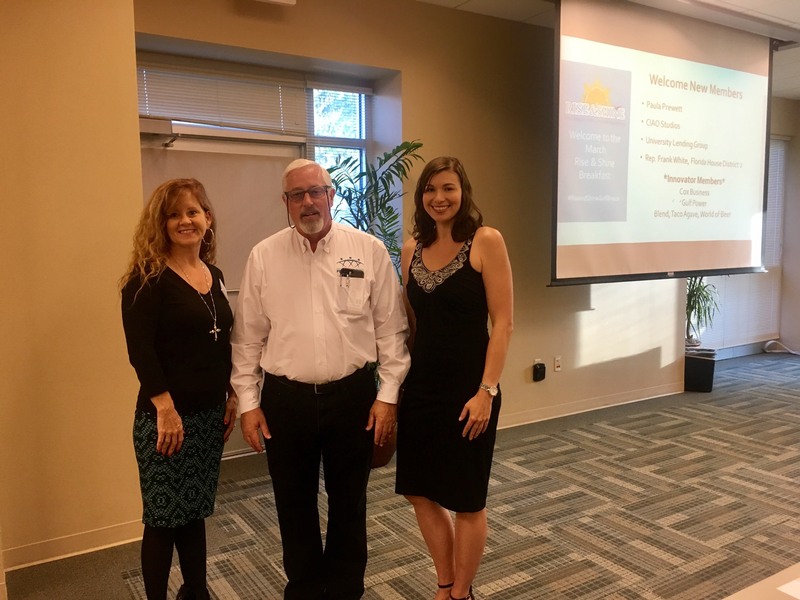 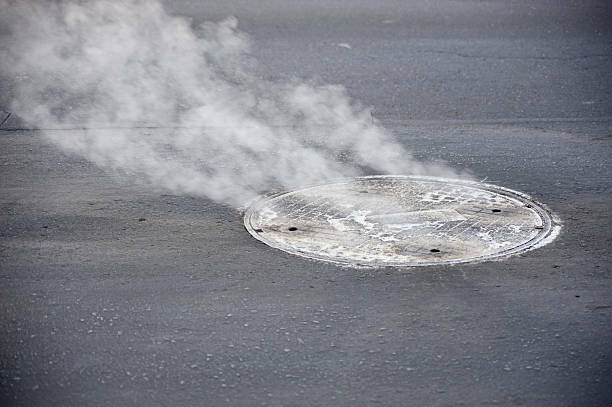 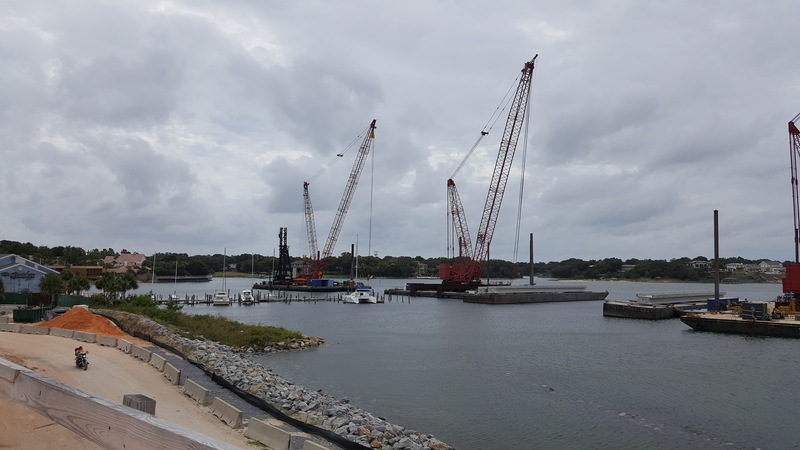 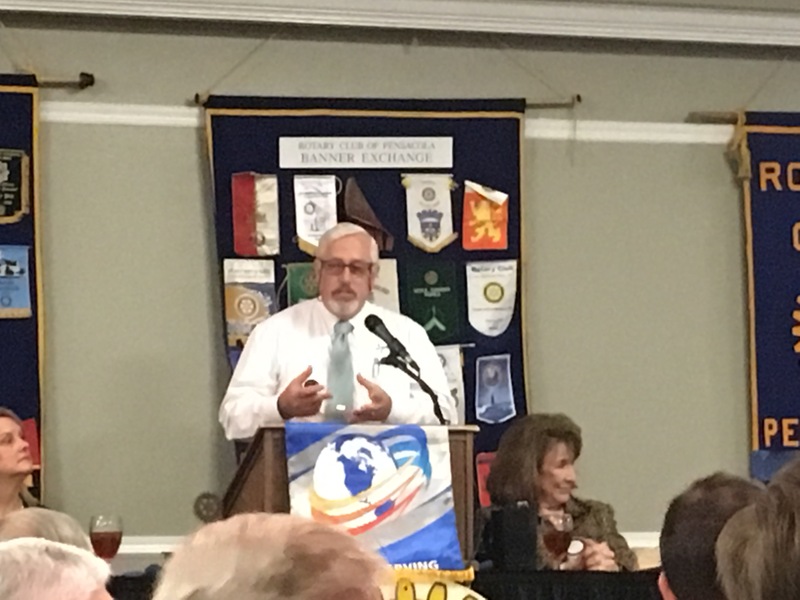 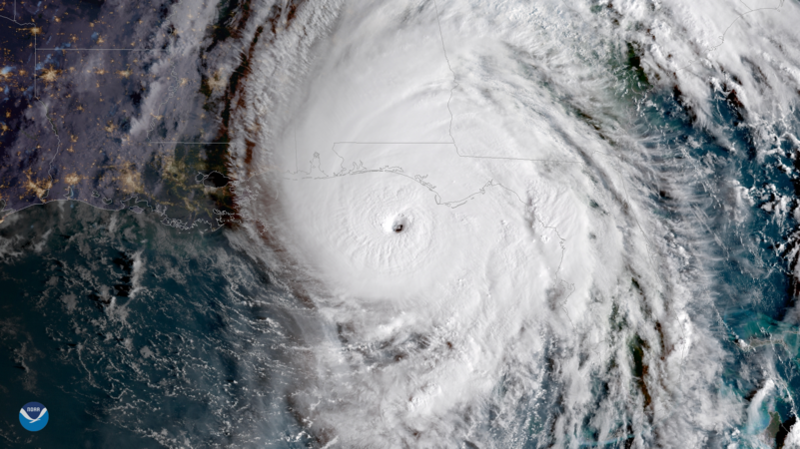 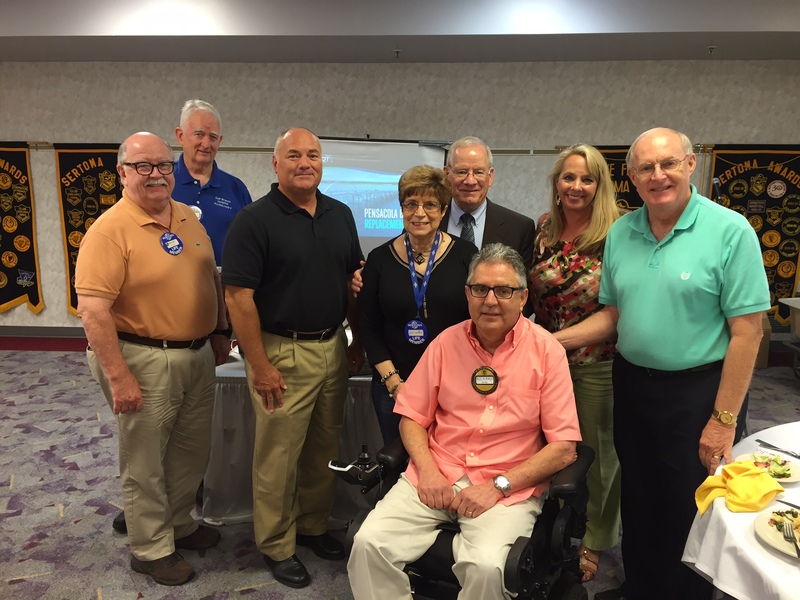 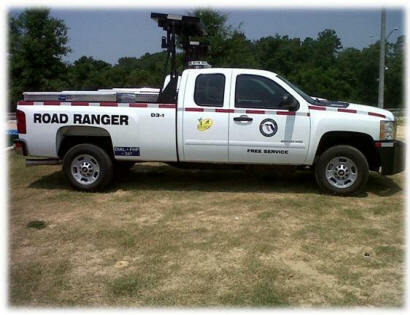 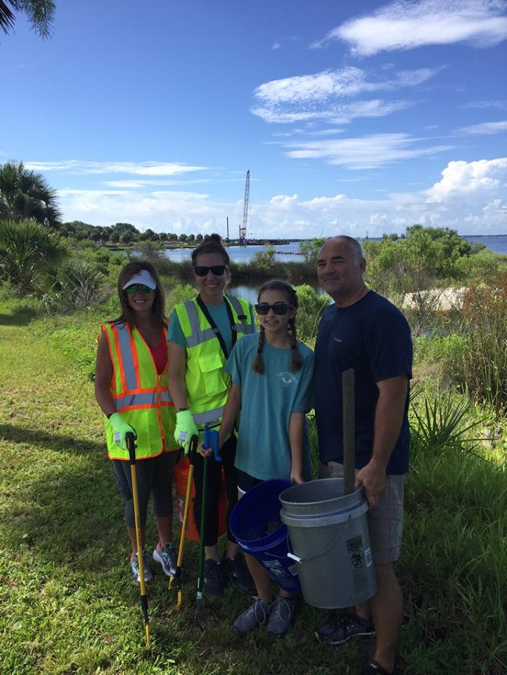 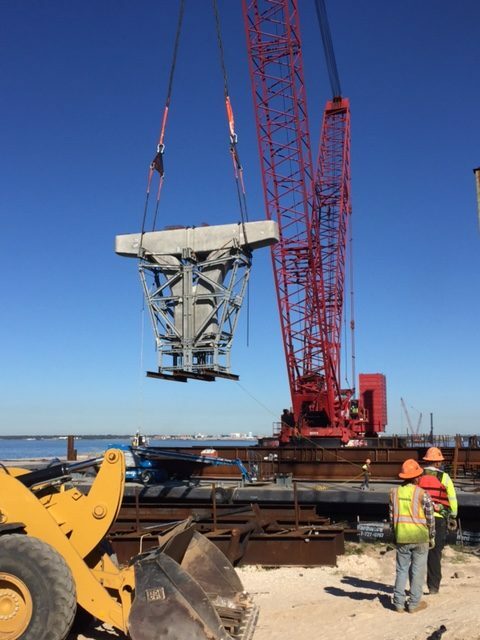 For now, all test and production piles needed in the area within 1,500-feet of the Gulf Breeze shoreline have been driven. 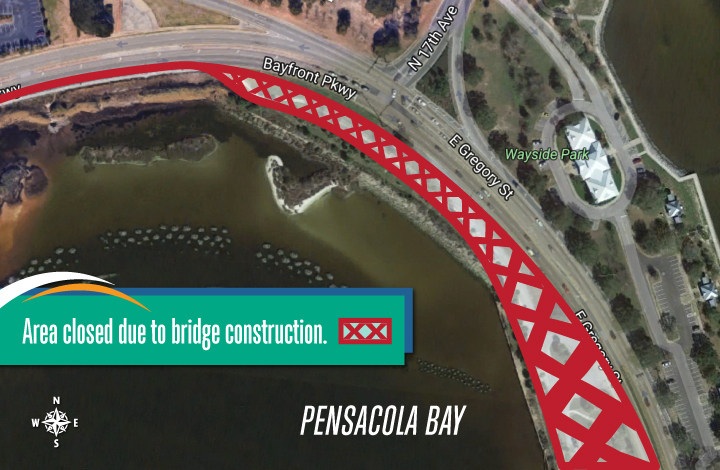 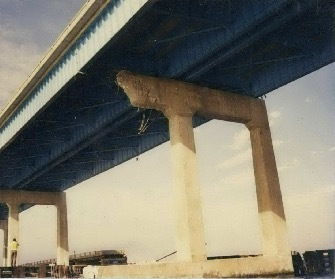 However, pile driving will continue in other portions of the bay and on the planned bridge approaches in Gulf Breeze. 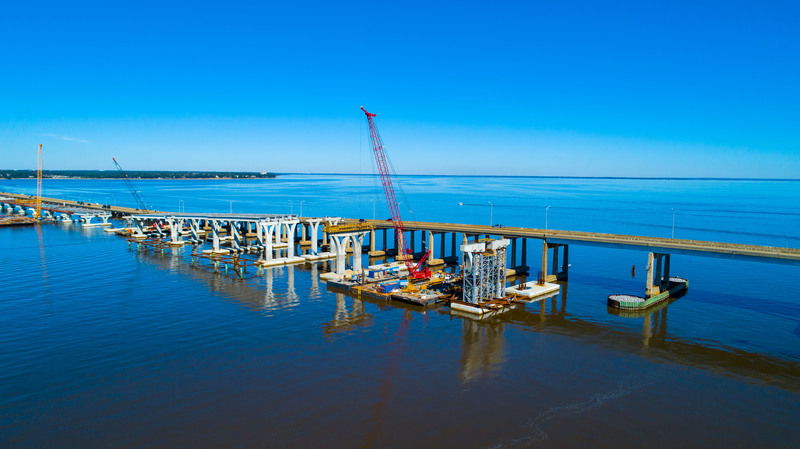 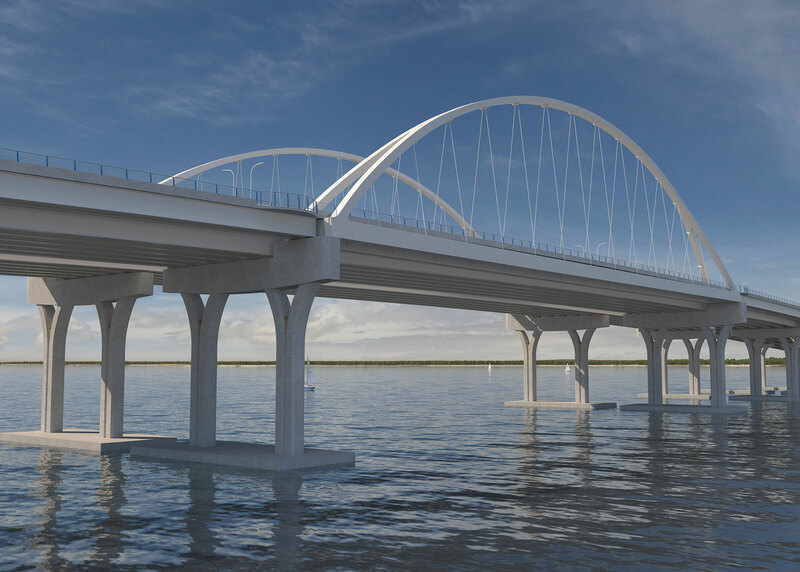 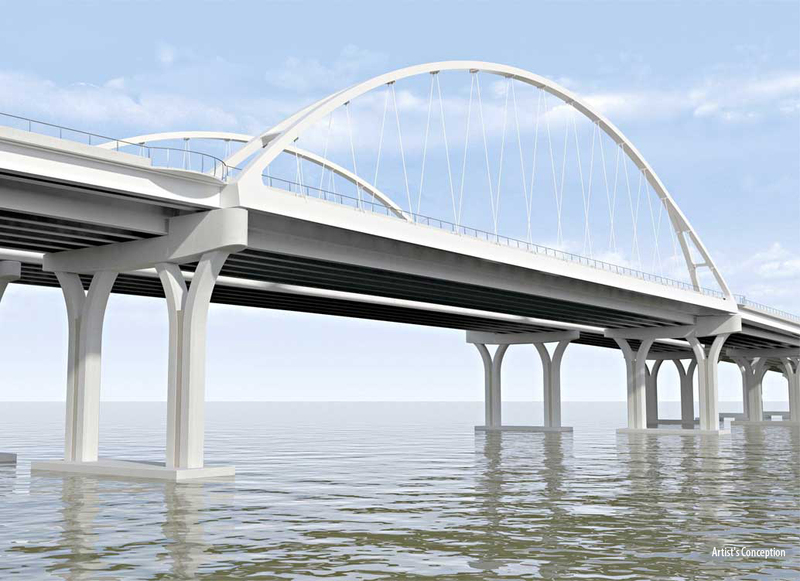 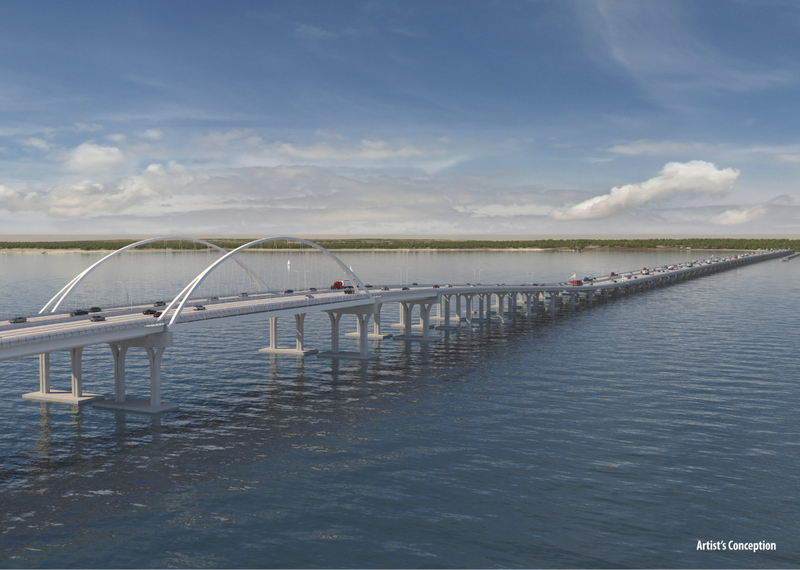 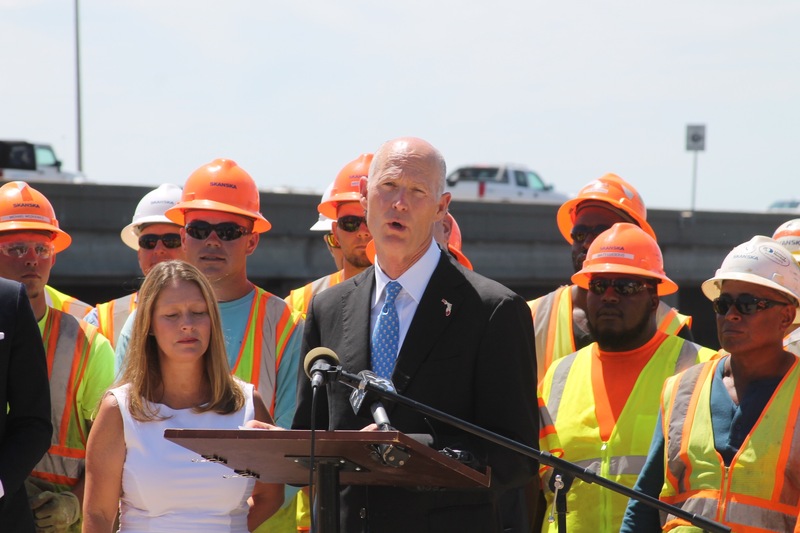 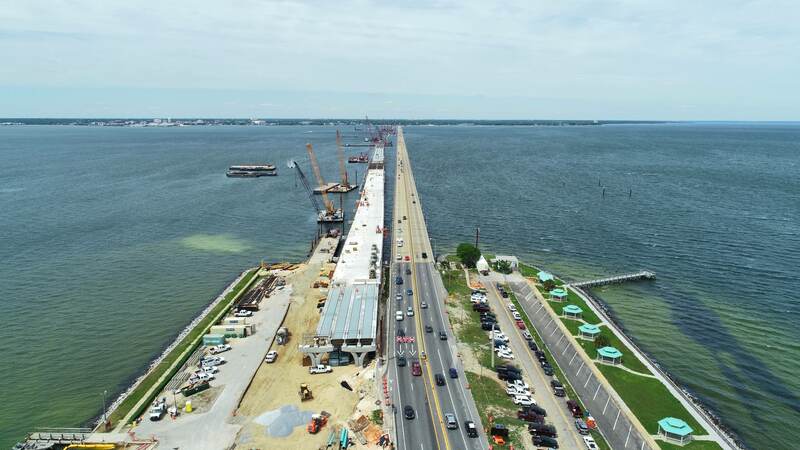 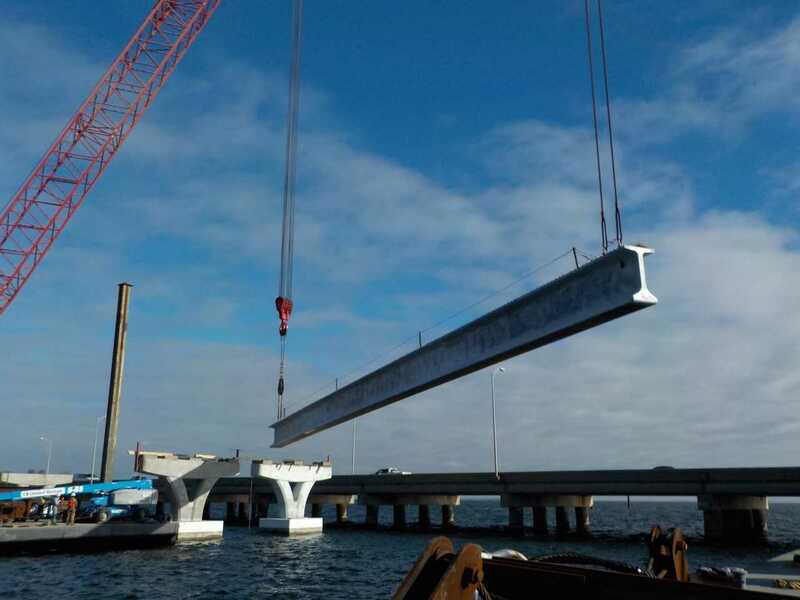 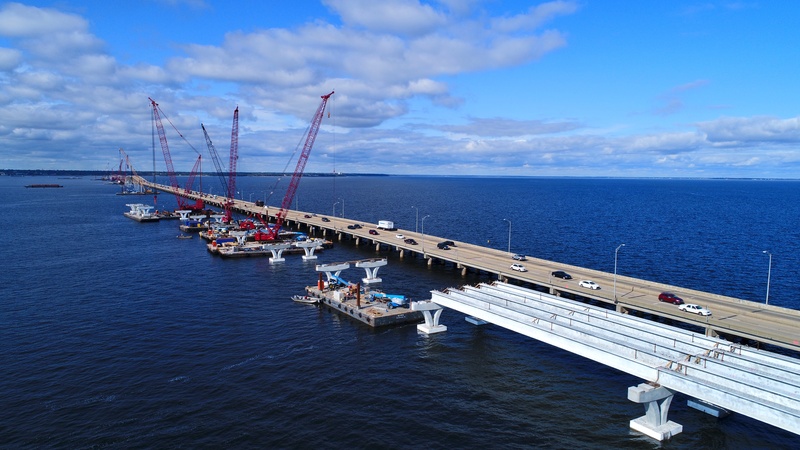 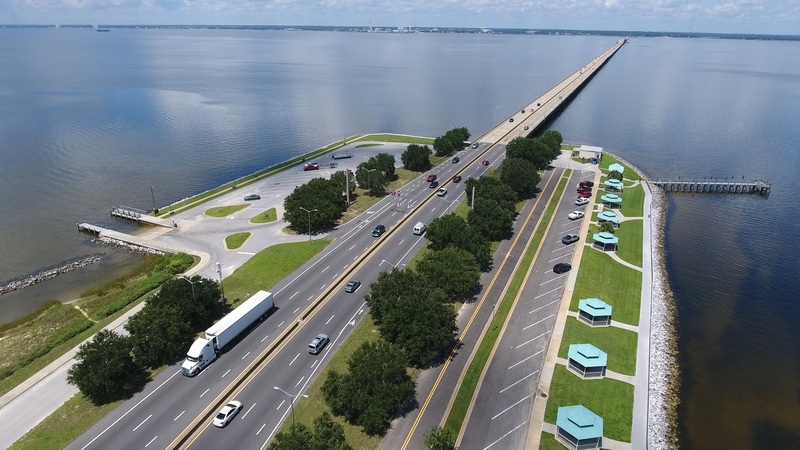 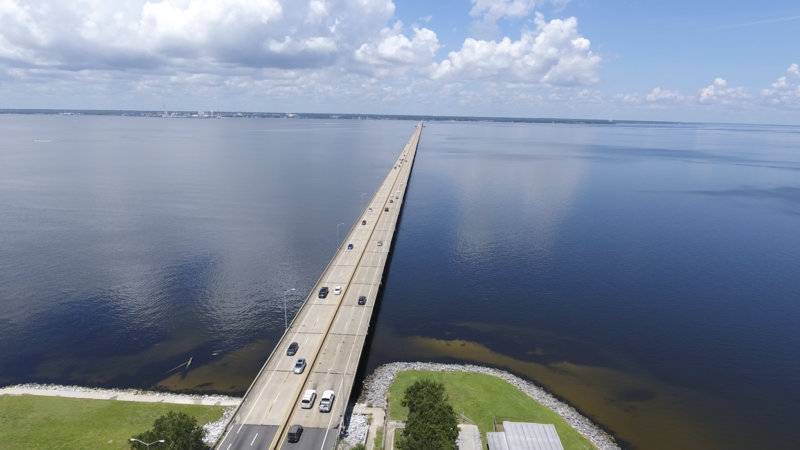 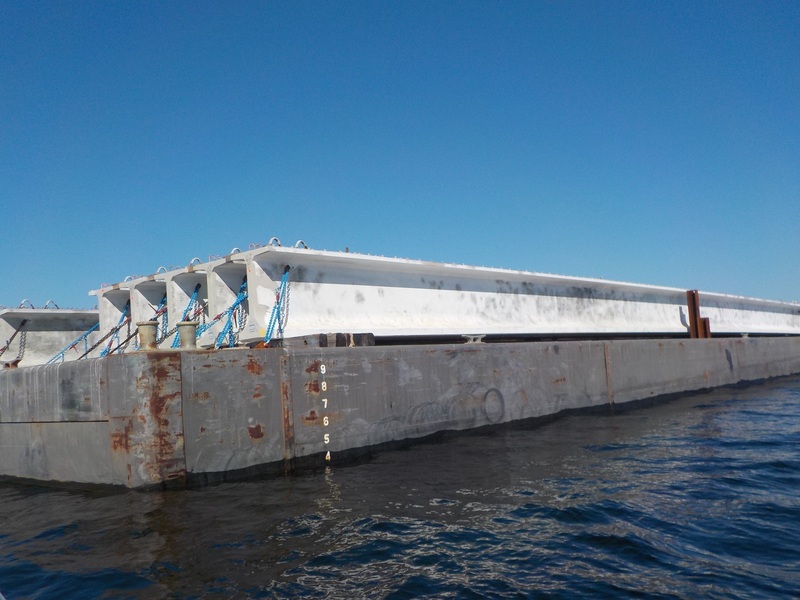 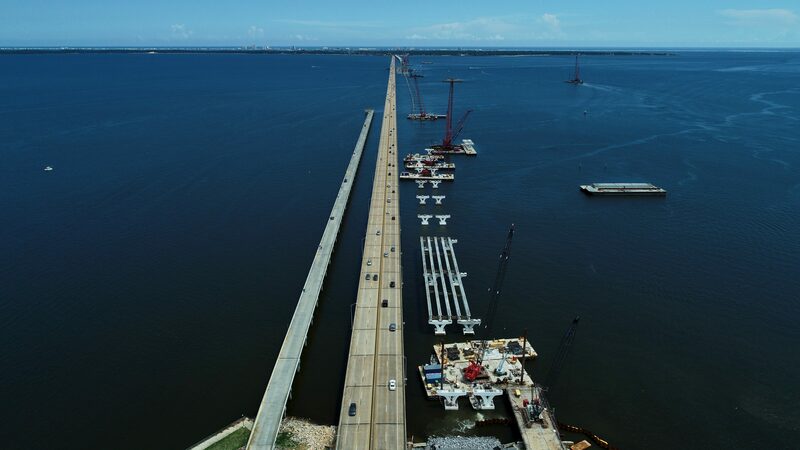 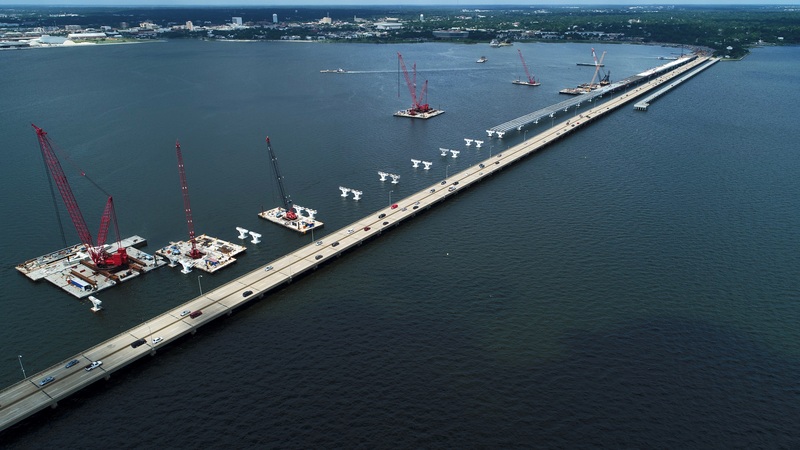 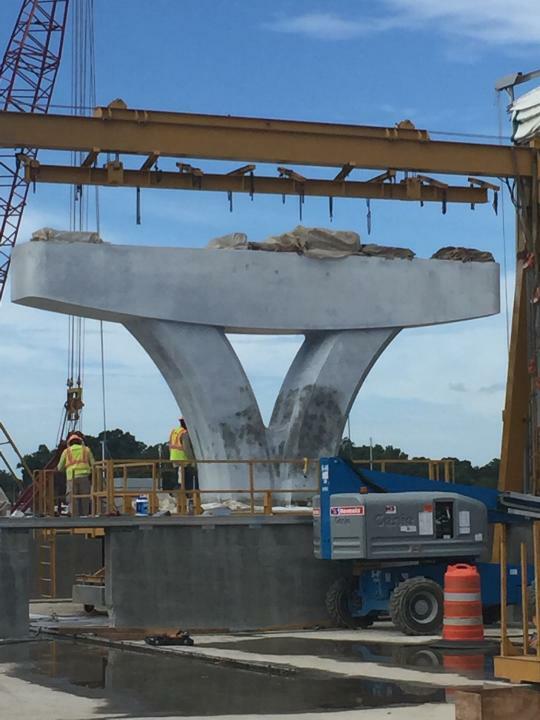 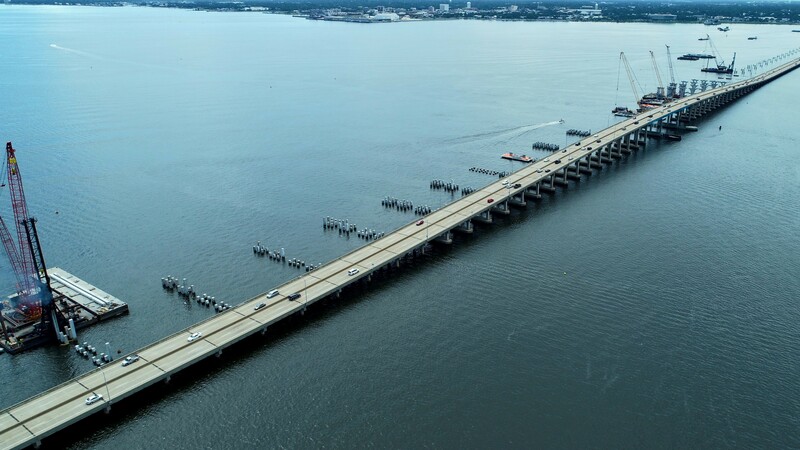 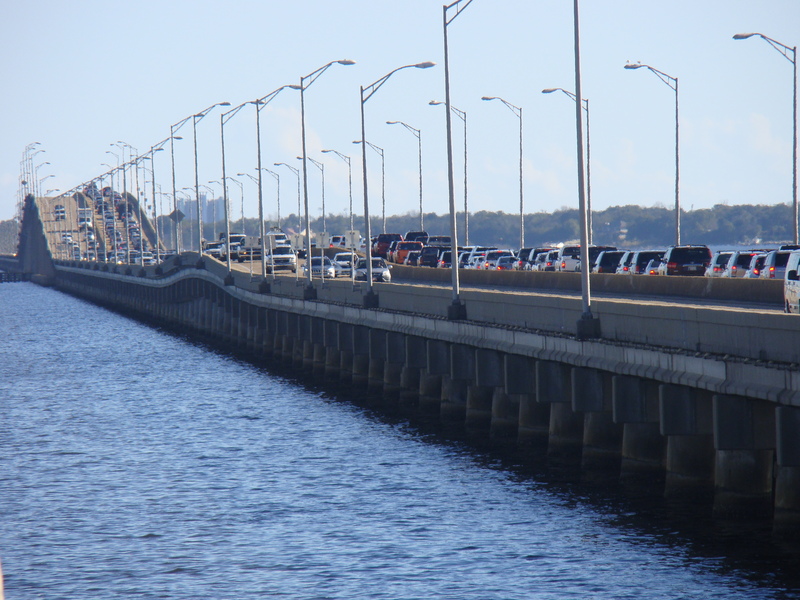 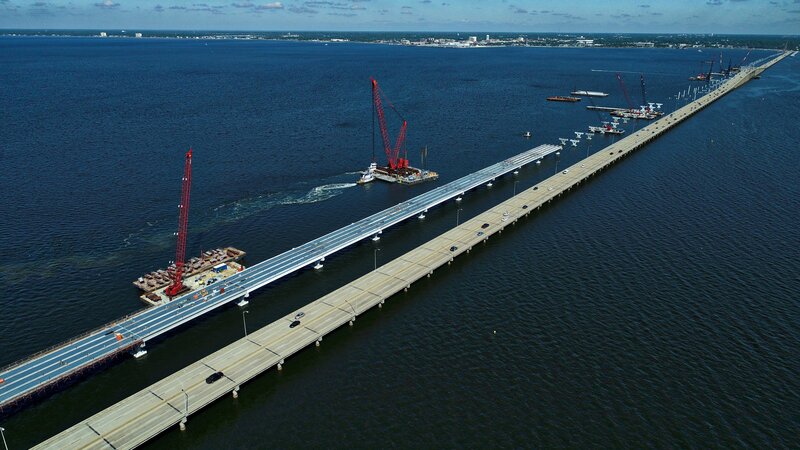 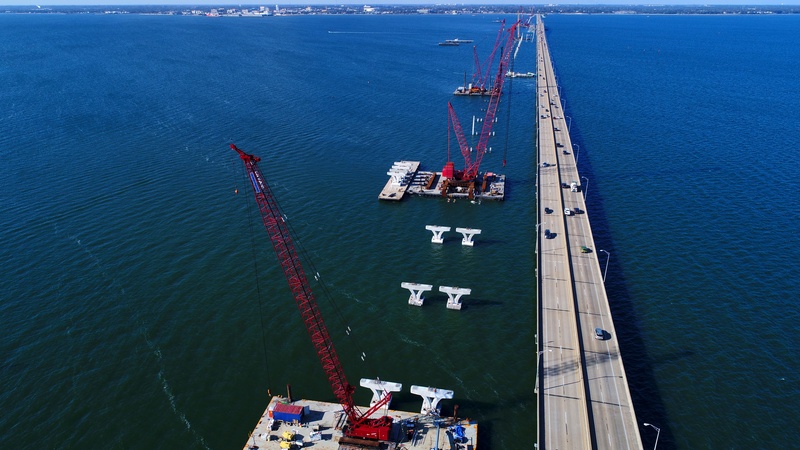 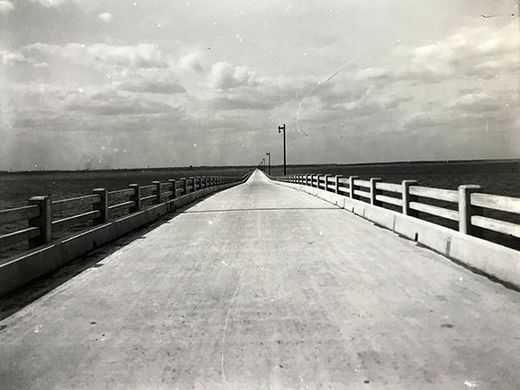 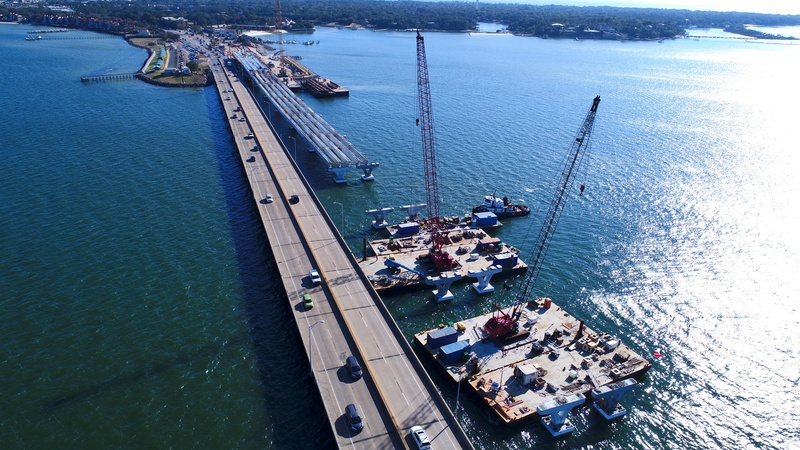 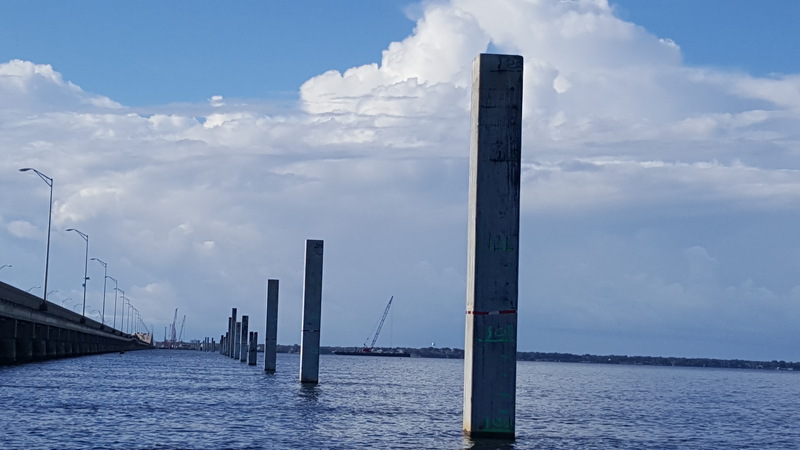 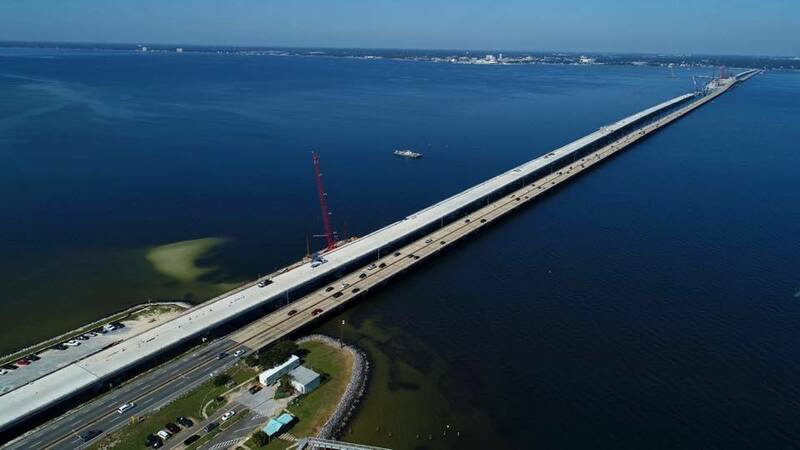 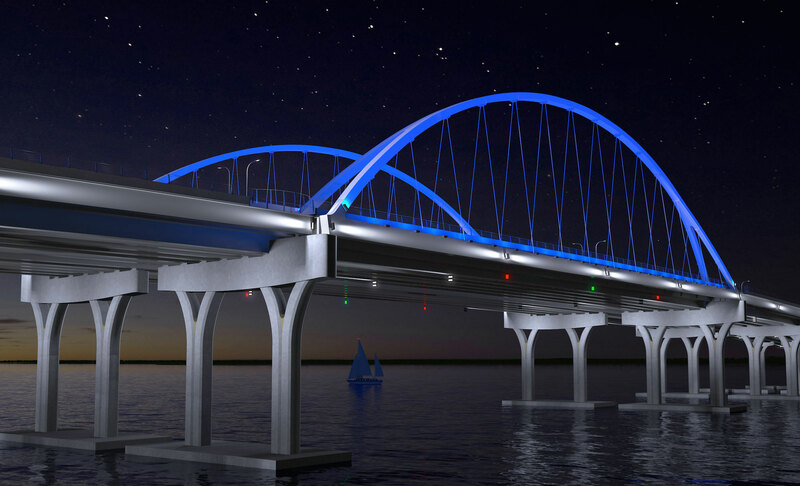 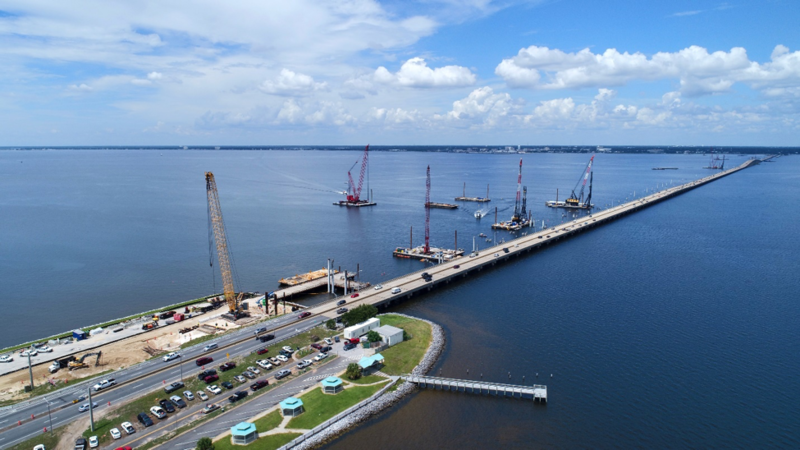 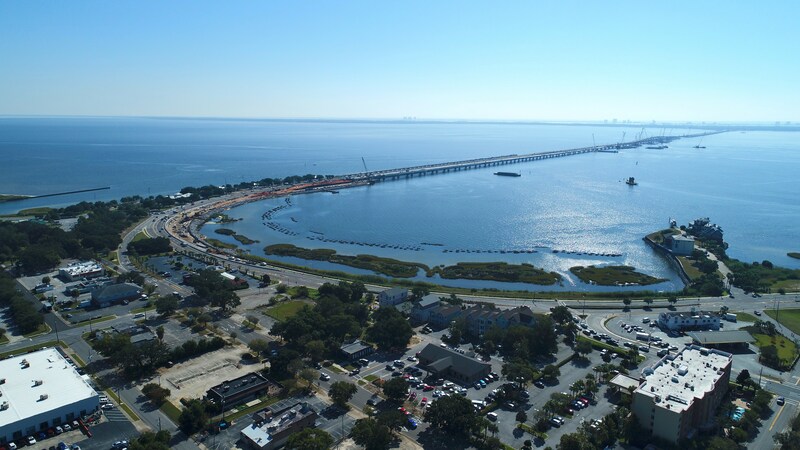 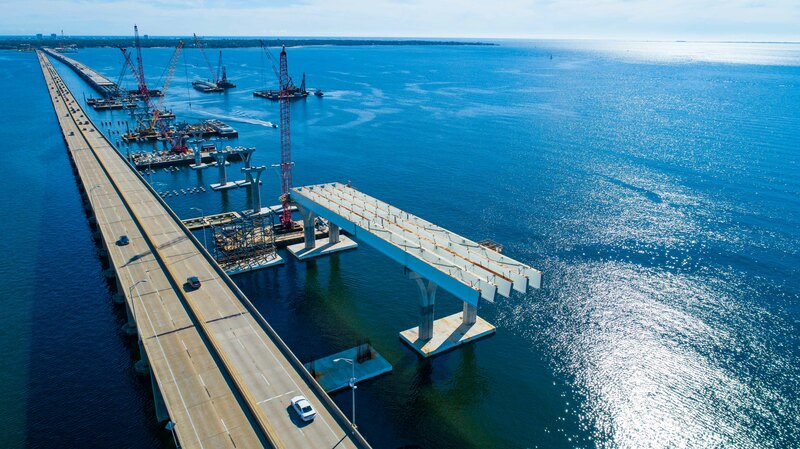 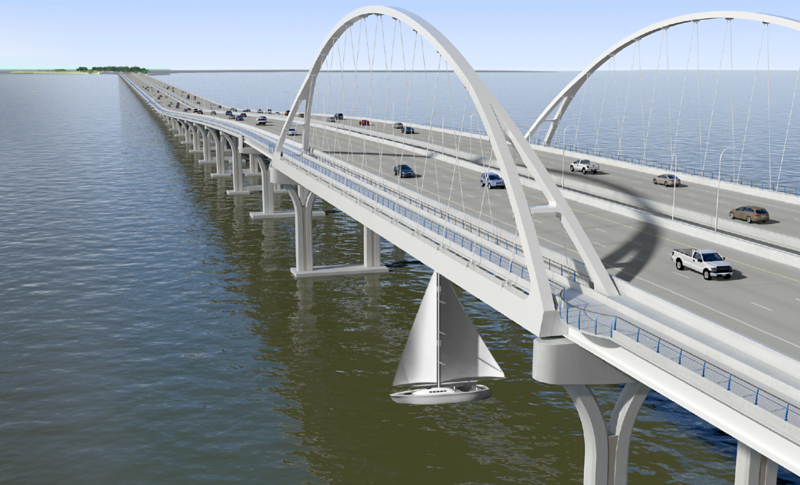 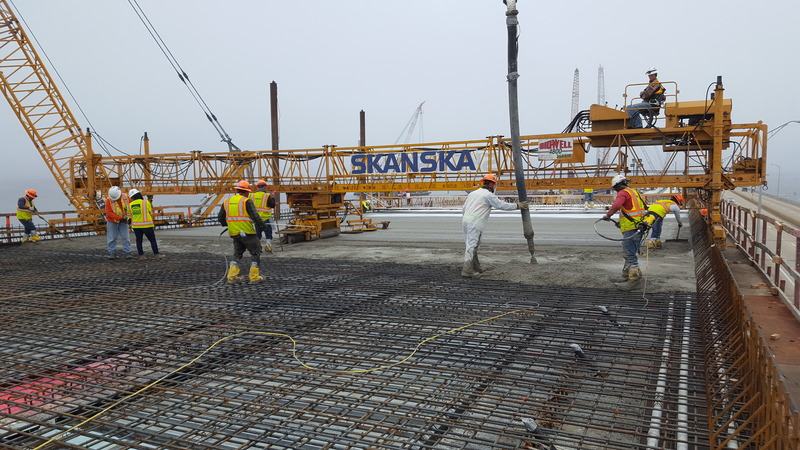 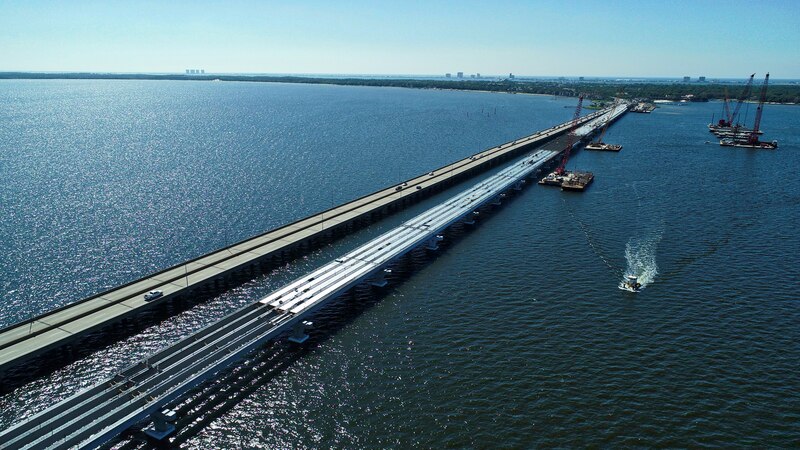 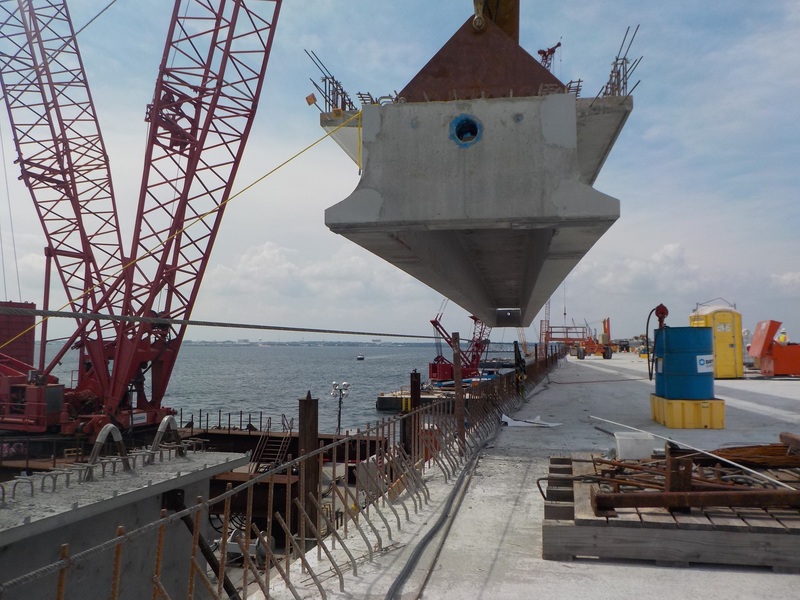 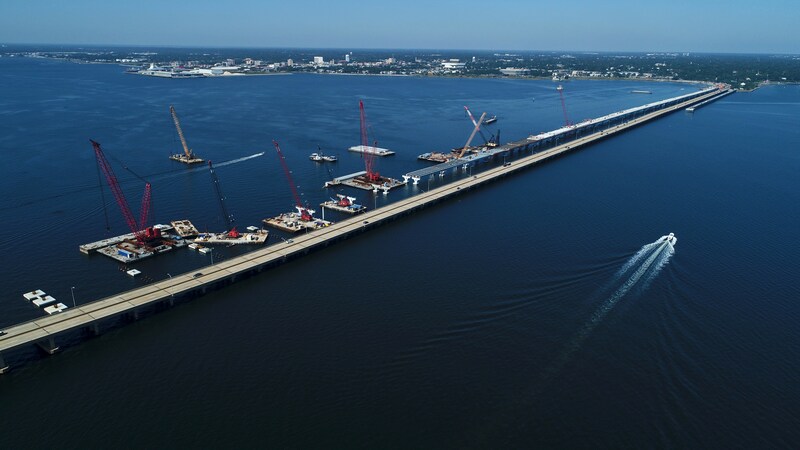 More than 2,000 concrete piles will be driven to support the three-plus-mile bridge. 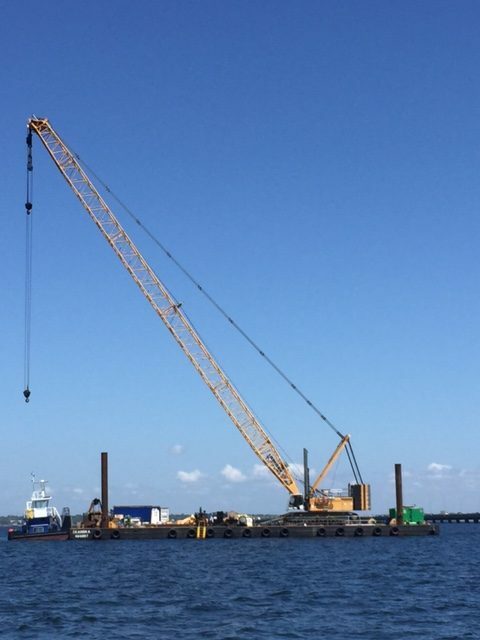 Pile driving is limited to one-half-hour before sunrise to one-half-hour after sunset, seven-days-a-week.